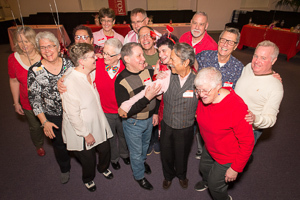 Love, friendship, and community: Let's celebrate them all (not to mention food, fun and dancing) at our annual Valentine's Day Dance. Singles, couples, groups, all welcome. Parking and smiles are free and our favorite DJ, Joseph, will be back. A suggested donation of $10 is appreciated. See you there!